If you were already worried about the Trudeau government’s persistent increases in government spending and debt, then today’s Fall Fiscal Update will only compound your concerns. But for those not already anxious about the state of federal finances, this should be an alarming and eye-opening day. Every fall, Ottawa releases a fiscal and economic update—an assessment of both the economy and government finances. This year’s update reveals that the federal government continues to spend at near unprecedented levels outside of recessions or war, and continues to borrow at an alarming rate. To fully understand the current fiscal situation, we first must provide some historical context. In Budget 2015—the last budget tabled by the former Tory government—Canada was expected to run a surplus of $1.4 billion in 2015-16 while program spending was projected to reach $263.2 billion. After the Liberals were elected later that year, they instantly ramped up spending. By the end of 2017-18, program spending reached $310.7 billion—a $28.0 billion increase from the previous government’s plan—nearly all of which was financed through deficits. In February of this year, the government introduced its 2018 Budget, which further increased program spending to a planned $312.2 billion this year (2018/19). Now today, just six months into its 2018/19 plan, it upped spending another $8.0 billion. In retrospect, it wouldn’t have taken much restraint for the federal government to be much closer to a balanced budget today. For instance, the updated budget deficit is now $15.1 billion for 2018-19. However, as noted above, the Trudeau government increased spending by $8.0 billion since March 2018. In other words, the deficit would be less than half its current level if the government had simply stuck to its March 2018 spending plan. Indeed, if the government had stuck with its original plan from its 2016 budget, the deficit this year would be roughly $4.0 billion instead of the projected $15.1 billion. And despite a projected $15.3 billion increase in government revenues from last year, the deficit is still expected to reach $15.1 billion this year, and actually worsen slightly next year. Essentially, the federal government is using any gains from increased revenues to finance yet more spending, rather than balance the budget, which it committed to in the 2015 election. Finally, the continued deficits means federal debt is growing. In 2014-15—the year before the government was elected—Canada’s accumulated deficit (overall debt) totalled $628.9 billion but has grown to $687.7 billion in 2018-19, an increase of 9.3 per cent since 2014-15. Unfortunately, forecasts do not show signs of improvement. 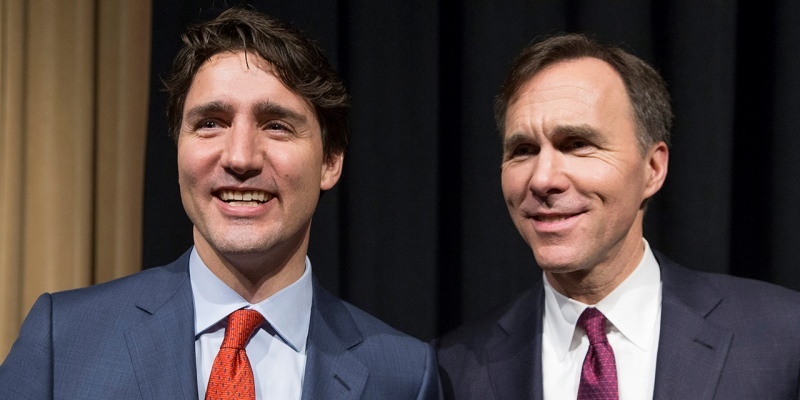 According to the Parliamentary Budget Officer (PBO), the official budget watchdog, the federal deficit will rise to $21.3 billion in 2019-20. Indeed, the Department of Finance doesn’t project a balanced budget until 2045. Back in 2015, this federal government promised to run “modest” budgetary deficits of no more than $10 billion and return to budget balance by 2019-20. However, it has clearly abandoned this plan as spending has dramatically ramped up and the government seems wholly disinterested in balancing its budget as originally promised.